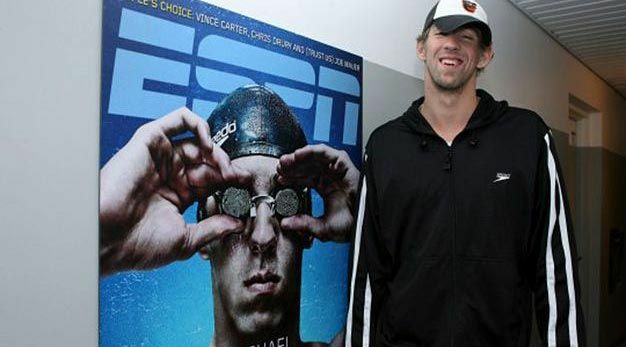 Will Michael Phelps-inspired videogame prove to be God’s cruelest joke? The short answer, yes. The long answer is that even developer 505 Games suspects their upcoming videogame based on the exploits of human dolphin Michael Phelps is going to make the angels weep, but that’s not stopping them from trying to make it as entertaining and engaging as a Michael Phelps-inspired videogame can be. Ironically, this means less swimming. “Swimming will be a part of it, but it won’t be set in an Olympic pool going back and forth,” said Adam Kline, president of 505 Games, who hopes to have the next Tiger Woods projects on his hands. “This is a pure action game.” A pure action game? I know you have to tell yourself some pretty crazy things, Adam, so you don’t spend the whole day crying in the parking garage, but we don’t have a second mortgage riding on this title. Please don’t insult our collective intelligence with this “pure action game” nonsense. Seriously, is he going to be wrestling sharks? Thwarting terrorists at a water park? Posing for douchey photos at a red carpet event? I won’t deny that Phelps, with his considerable cache of gold medals, has more than earned his place in history as “the greatest Olympian ever,” but I also won’t deny that the idea of playing a videogame based on his amazing athletic accomplishments – even if you got to swim through time to kill baby Hitler – makes me want to swallow the business end of a shotgun.